Up until about five years ago, patients with macular degeneration in Manitoba had to travel to Alberta for treatment. 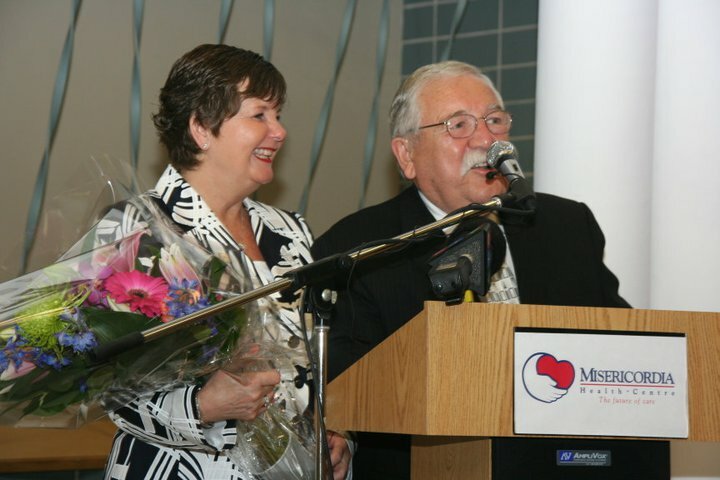 Thanks to Bonnie and John Buhler, MHC can treat patients right in Winnipeg. The Paul Albrechtsen Foundation Inc.
Bonnie and John Buhler have made an incredibly generous donation of $2 million toward Misericordia Health Centre’s redevelopment campaign! In recognition of the Buhlers’ important gift, the eye care centre at Misericordia will be renamed the Buhler Eye Care Centre with exterior signage on both the Maryland and Sherbrook sides of the health centre. This is not the first donation the Buhlers have made to MHC, either: they have funded equipment and programs over the years to provide Manitobans with access to important medical tests. Their contributions have given a great boost to Misericordia’s quality services. The new Buhler Eye Care Centre will provide ease of access, comfort and privacy for all patients. The Buhler Eye Care Centre is the largest in western Canada and home to the Lions Eye Bank as well as the future University of Manitoba Ophthalmology Residency Program (scheduled to accept its first resident this summer). Last year, our ophthalmologists assessed and treated close to 24,000 patients and performed more than 9,000 eye surgeries.